Kim’s journey into yoga has been rather recent, but passion for the practice was immediate and intense. 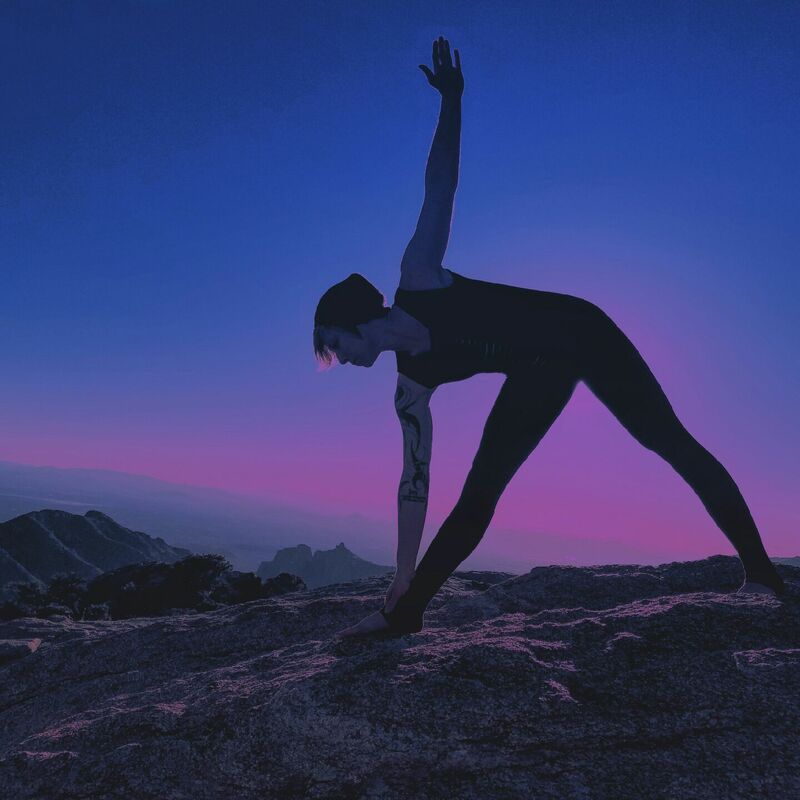 Yoga very quickly allowed her to find physical strength to not only overcome most or all of her chronic back issues, but increased mental balance, better sleep and an overall sunshine-y outlook on life! Kim was trained by fellow warrior women with a focus on Baptiste Power Yoga, and an emphasis on alignment and anatomy, which she is passionate about. She wants everyone to discover how truly life transforming yoga can be, and for all to tap into that not yet realized strength we possess, in addition to balancing our strong side with our soft. Kim firmly believes flow classes aren’t just about how many chaturangas are repeated; rather, how much mind-body-breath connection and ease can happen with every pose. Kim enjoys teaching vinyasa, power flow, yin and gentle yoga. She also volunteers with the Tucson Police Department serving community by teaching yoga to our emergency responders. *Kim was blessed to take her YTT through Session Yoga and is RYT 200-hr credentialed through Yoga Alliance. Continued education includes yin yoga, and trauma-informed/trauma-sensitive certifications, and anatomy/myofascia workshops.